All of us have been shaped by our schooling, yet how many people actually know what happens inside Australian schools these days? Our stake in education is strong: your children, grandchildren, nieces or nephews may be in school; you might be planning to start a family; at the very least you were once a student. Yet few of us really understand what happens inside these black boxes in our communities. This is why, as Dean of Education at the University of Melbourne, I seized a unique opportunity to be part of an in-depth documentary titled Revolution School, which started on the ABC on May 31. The four-part series captures the achievements and challenges of Kambrya College, a typical suburban public high school in Melbourne’s outer southeast that has been working hard to improve itself. For the first time in Australia, fixed and roving cameras captured the inner workings of a secondary school over an entire school year. Camera people working out of an office in the school became not part of the furniture, but rather part of the school community – even competing in the annual swimming carnival. Novelty aside, this was risky, honest and serious business. Many institutions would cringe at the idea of allowing cameras into their classrooms and meetings to film everyday unpredictable dramas, and wonder if it would turn into a wild adolescent soap opera. Over the next few weeks, you will witness a school that has been on an eight-year journey of improvement. This quality piece of journalism can be hard to watch and you will see some raw and confronting situations. Just as nurses and firefighters have tough days, as a teacher you may encounter drugs, disobedience, bullying and anxious parents. Good teachers like those at Kambrya tackle these challenges while keeping their eye on the prize: the growth in learning of its students. This landmark series absolutely shows just how hard teaching is. Teaching is not rocket science; it’s actually much more than that. It’s so hard in fact that here at the University of Melbourne we treat it as a graduate only qualification, with an average student age of 26 years. Revolution School sheds light on how schools are big complex places and the fact that teachers are dealing with multiple issues in any one classroom. The intricate everyday interactions between students, teachers and parents illustrate how teaching is so challenging that teachers can’t do it on their own, but rather they need to collaborate. The power of networks is clear through Kambrya’s work with our network of schools. We view schools as our collaborative partners and work with them to apply high quality research and measure its impact. As my colleague Professor John Hattie says, there is excellence in every school. Clustering schools harnesses the power of the collective by allowing them to share success and learn from each other. Educational improvement requires innovative thinking and world-class research, which you’ll also see as our academics roll out interventions at Kambrya College. 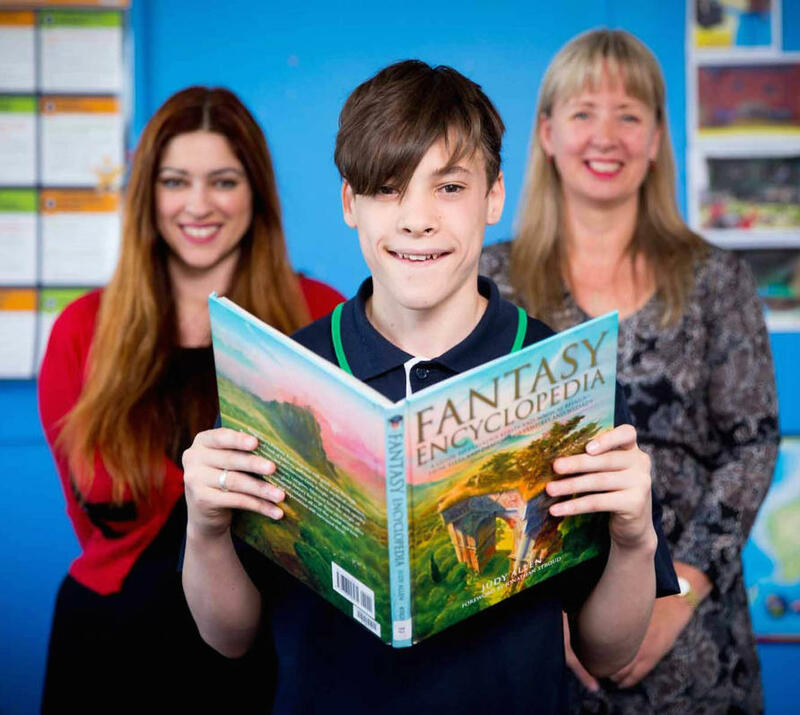 We support the school in trialling new classroom management techniques and literacy and wellbeing programs that are already improving the quality of education. They can also be applied to other schools. Changing, collaborating and allowing intervention is not easy, but it is necessary and valuable. 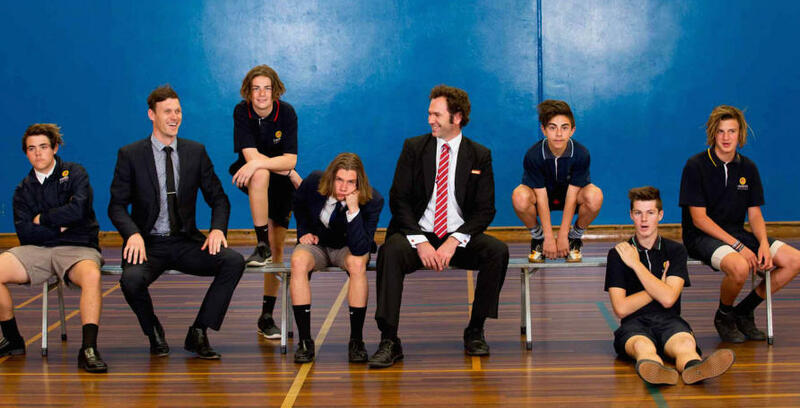 Under the leadership of principal Michael Muscat, Kambrya College has dramatically lifted from the bottom 10 per cent of Victorian VCE results in 2008, to the top 25 per cent. But is hasn’t been easy, and Kambrya’s quiet revolution is not over. Kambrya’s teachers relentlessly persist day in and day out in their pursuit of the best for each student. They ceaselessly address under-performance and stretch their high achievers. The perseverance of Kambrya’s team highlights the respect that we need to show teachers. As Andreas Schleicher, Education Director of the Organisation for Economic Development (OECD), says, Australia’s leaders are treating “teachers as interchangeable widgets on the frontline … just there to implement prefabricated knowledge”. Harsh, but in some ways true. 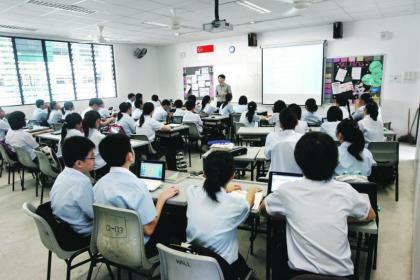 High achieving education systems such as Finland and Singapore have developed their population over the past 40 years through quality investment in education. They have selected entry to teacher training because they prize teachers on par with doctors. They also prioritise the development of teachers and principals above things like reducing class sizes, and invest in schools with more needs. It is my belief that Australian education is ready for transformation, with teaching becoming a true profession. At this moment in time, there is so much knowledge about what underpins great teaching that we have an enormous opportunity to develop a new breed of teachers with enhanced capabilities. But to develop professionals that link the best theory with their practice, we need to break old models and stop the recycling of old teaching approaches. This is why, in 2008, we introduced a program that I describe as a genuine clinical master’s degree. Our Master of Teaching produces highly skilled interventionist teachers who assess and diagnose the needs of each individual student. This new approach requires us to change the thinking within the University and within schools, as we build a bridge between the two. Our academics work with practicing teachers in schools to train up new teachers who will have a transformative effect on their student’s learning. While some Australian reforms are in train through the 2015 Teacher Education Ministerial Advisory Group report process, further work is required to esteem teaching, attract the brightest candidates into the profession and introduce professional structures that value the most able. We also need to reconceptualise schools as a place where teaching is delivered in collaborative teams and schools are clustered to share success. This article has been co-published with the Herald Sun.